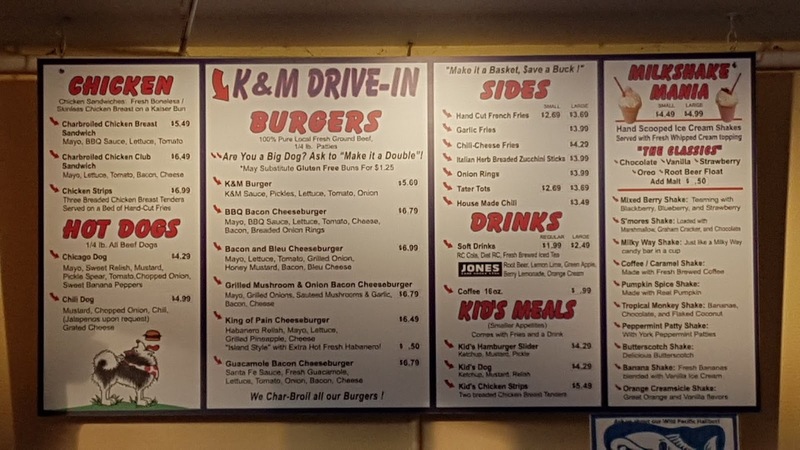 We recently moved to the area and had driven past K&M Drive-In on several occasions. It looked interesting and the Yelp reviews were very good (4.5 Stars - usually a good omen), so I decided to give them a try. 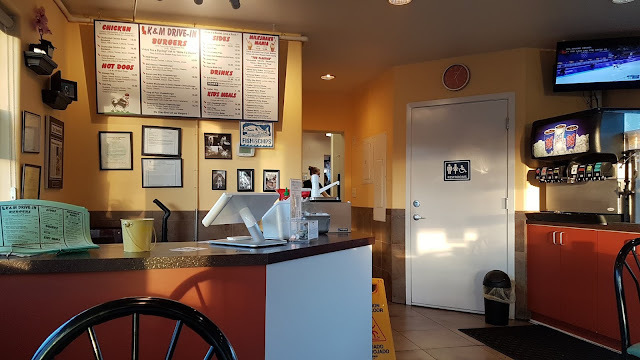 The interior dining area is small with just 5 or 6 tables (they also have a drive-up window) and the place clean. I was approached immediately and professionally by a man I assumed to be the manager, taking my order and telling me "your order will be out in 7-8 minutes". I figured that they were busy, but after about fifteen minutes I assumed there was some sort of problem, a fact verified by the look on the manager's face when he still saw me sitting there waiting for my take-away order. 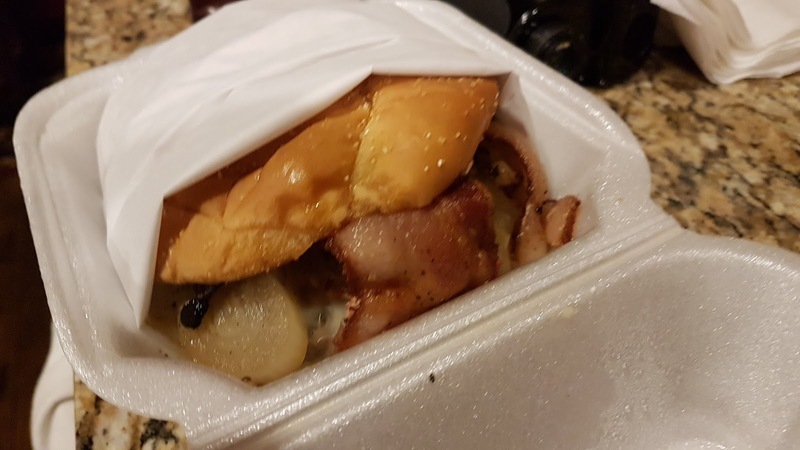 He came to me and explained that the order in-fact never made it to the kitchen because of a computer glitch, that my order would be remade and that I would have it in "7-8 minutes". 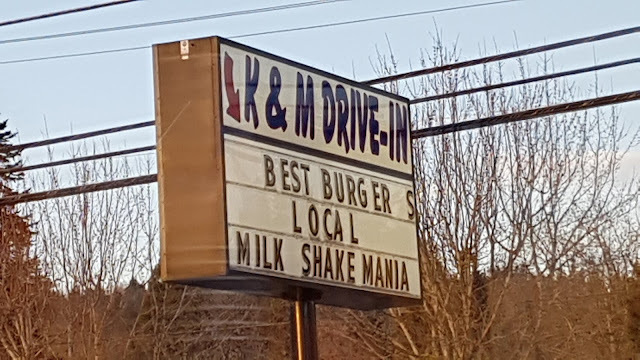 They also gave me a coupon for a free "K&M Burger" ($5.69 value), a nice gesture. So, I waited and waited and waited ... it was like deja vu all over again! 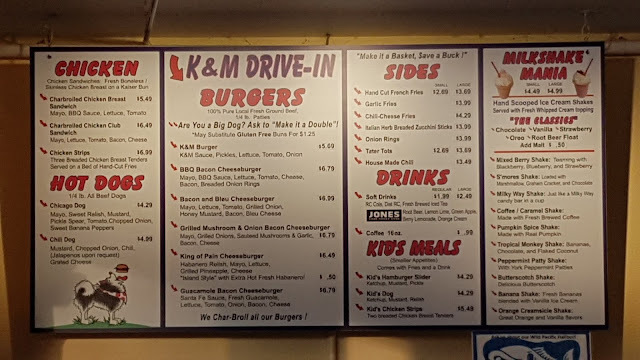 After another 10-15 minutes, another gentleman (the owner I found out, the "K" in K&M) came out with two paper bags, claiming that my first order had in-fact been made, but given away to a drive-in customer by mistake. He apologized profusely, promising to do better next time. I gave him my card - CombatCritic Was In The House! - and proceeded home to sample the chow. Comparable to Five Guys in taste, you get only 4 ounces of beef instead of the 6.6 ounces (two 3.3 ounce patties) you get at Five Guys for a similar price (I paid $8.29 for 8 ounces), so they are not cheap. 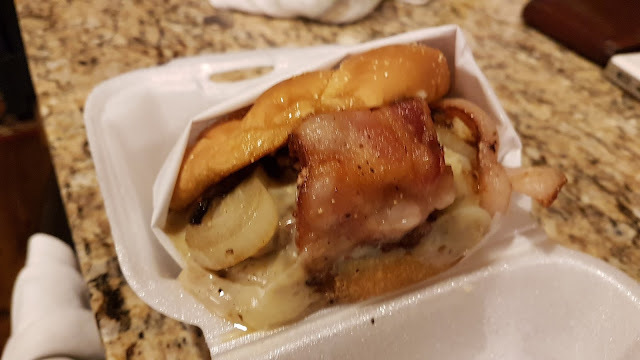 The "medium" bacon was more on the "chewy" side, but the burgers were pretty damn good I have to admit. The hand cut fries were hot and tasted OK, but were too mushy and greasy for my taste in addition to being a tad on the expensive side (nearly $4 for less than 50¢ worth of potatoes). When I opened the chili, there was an array of red and green jalapeños on top, just what the doctor (colonel in this case) HAD NOT ordered. I was expecting a thick, robust, beanless chili only because they offer chili cheese fries which routinely come with that type. 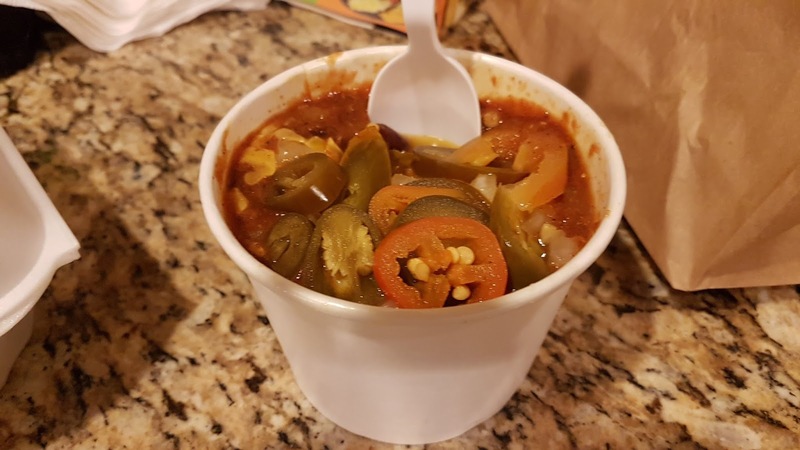 What I got was a somewhat watery, tomato laden, acidic and not very tasty (but spicy, thanks to the hot peppers) variety with kidney beans, my least favorite bean in a chili (if there are any at all) due to their hard, pasty consistency. I want to like this place mostly because of the lack of restaurants in the area and my desire to support locally owned, small businesses. This place has tons of potential and it seems as though they make a lot of their customers happy, but I was not very impressed due to the order SNAFUs (lost order, chewy bacon and jalapeños in my chili), their somewhat high prices, and the fries and chili which need, in my opinion, a new recipe or some quality control. CombatCritic Gives K&M Drive-In 5 Bombs Out Of 10 ... "Pretty Damn Average" ... More Bombs Are Better!